This ebook is the partial research and academic compilations that were part of obtaining a masters degree in Expressive Arts Therapy. Included is an original method of using writing and meditative poetry to manage strong emotions, such as grief and despair. The short method at the end of the book can be used as a stand-alone or in combination with ongoing therapy and other self-care practices. You can read the entire book to see if it resonates with your own mental, emotional, spiritual, and poetic heart. Or you can just go to the appendix and use the method. 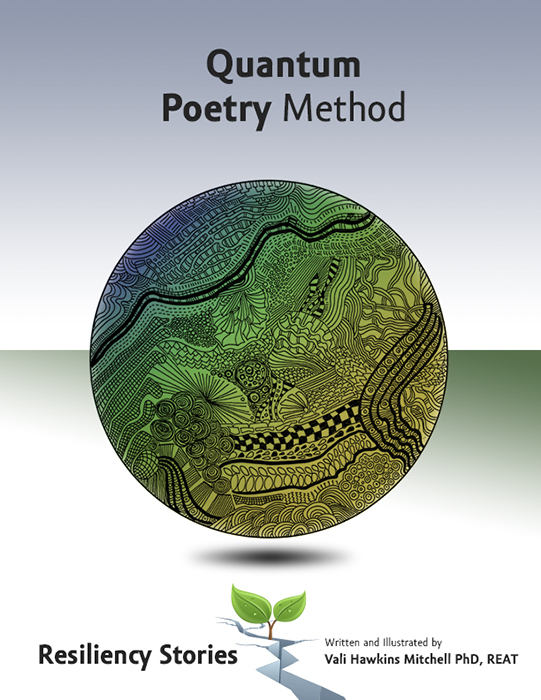 The method is self explanatory and simple and uses reading, contemplative thought, and brief writing, and requires no specific skills, dogma, or specific education. The method is simple and is meant to be custom designed by you to lift you out of the abyss of difficult feelings to move you toward better energy and personal meaning.